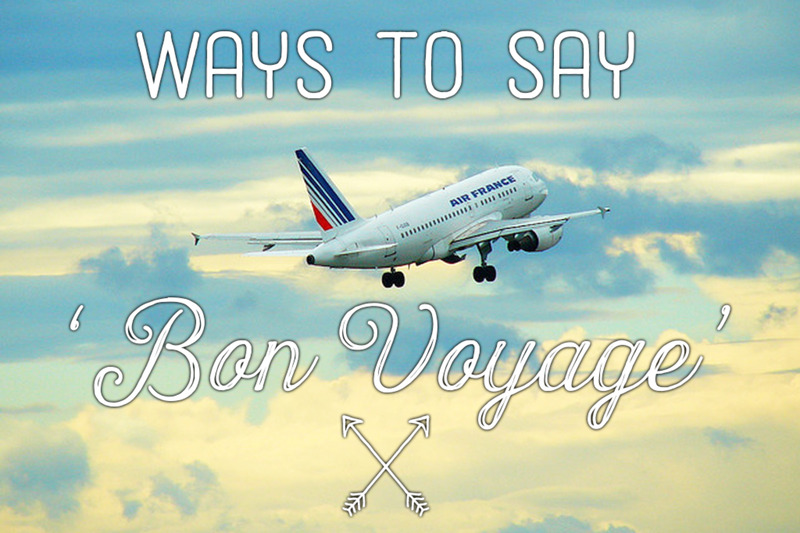 Don't know what to write on a card as a 'bon voyage' message for a friend going on a holiday? Looking for more ways to say 'Have a good trip'? Want to send an email to a boss who is going away on a business trip? 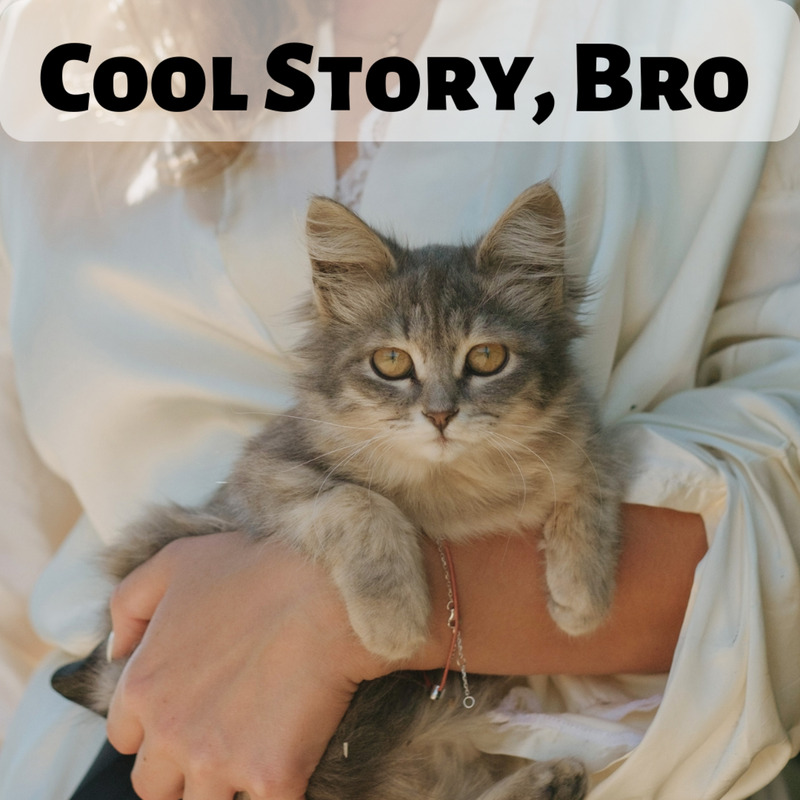 Thinking about leaving an emotional Facebook update for your boyfriend who is packing up to travel overseas? Read on and learn how to express your feelings to wish a friend, family, or partner a safe and happy journey. 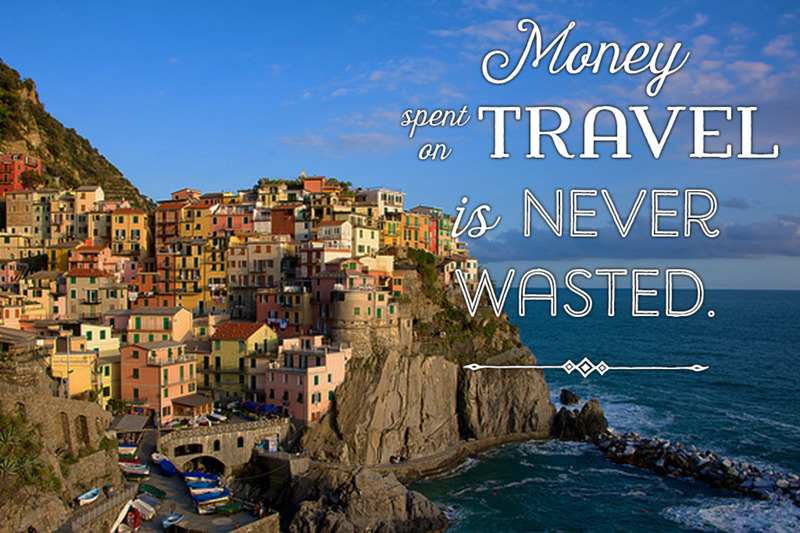 Money spent on travel is never wasted. Have fun, miss me, and come back soon. Bon voyage; take your time. 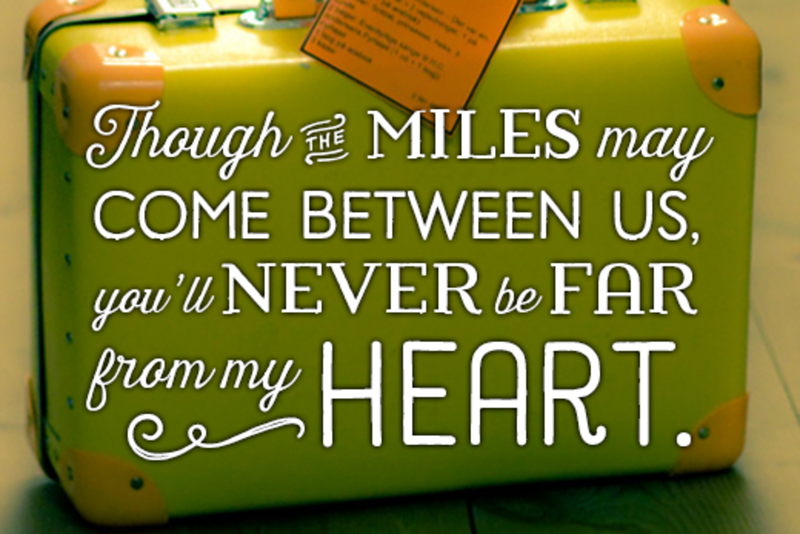 Though the miles may come between us, you'll never be far from my heart. Have a great trip, and bring me back a present! Vacations always end too soon. So enough time wasted reading this message—get yourself to the airport! Here's to new beginnings. We will miss you! 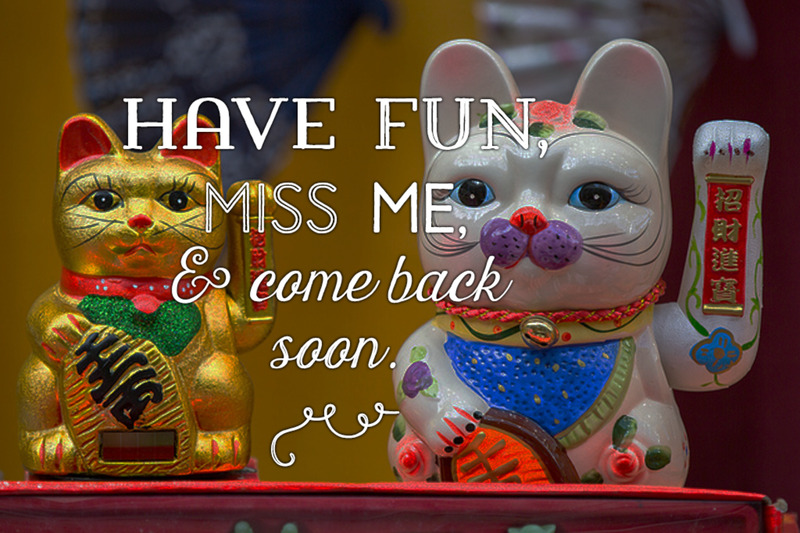 I hope you come back with lots of memories and souvenirs to share! At least the souvenirs. 1) Holidays always end quickly. So stop spending time reading this message and get to the airport. Bon voyage, my friend. I will miss you while you are gone. 2) I can't believe you won't be here on your birthday. Lucky you, getting to celebrate your 50th on the sunny beaches of Mexico. Happy birthday in advance. Enjoy your travels. 3) This SMS is to wish you bon voyage and, more importantly, to remind you to bring back gifts for your best friend (me). Hang on, I am not writing you a holiday poem. I am just telling you about the things that I did on my holiday. Take some tips and make the most of your vacation. Bon voyage. 5) How is a lonely boyfriend like me going to survive a whole month without a beautiful girlfriend like you in his arms? I am going to miss you tons while you are gone for holidays with your family. Do you have to go? I love you, have a good trip. 6) You may not have any money to go to good restaurants, buy a new car, play golf, visit the opera, or buy diamonds, but you sure seem to have the money to travel—I like your priorities in life. You are putting your money to good use. Bon voyage. Take lots of pictures. 7) The only reason why I am specially wishing you 'bon voyage' is that I want you to give me lots of goodies when you get back. 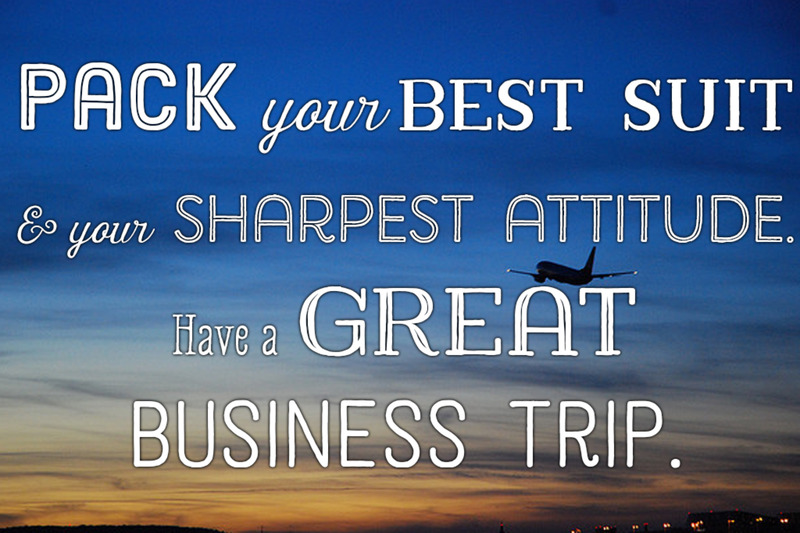 Have a super trip. 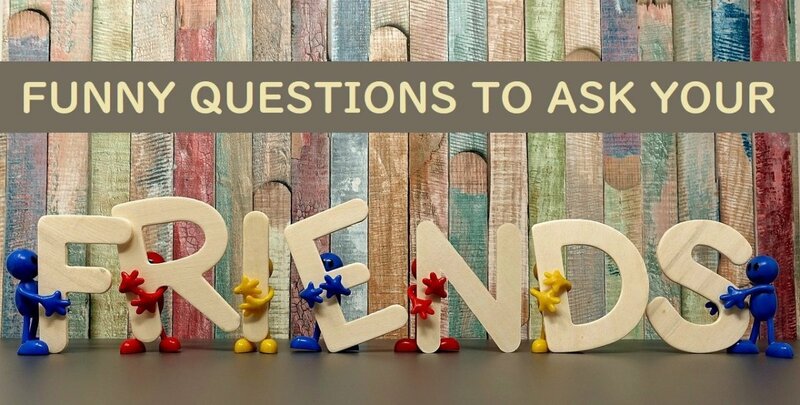 8) Wine, chocolates, souvenirs, exotic food items, and clothes—these are just a few ideas to help you think about what you can get me from your foreign trips. Bon voyage. 9) I am hoping to see a more cheerful, fun, happy, calm, and chirpy version of you when you get back from your trip because—what the heck, you are going to Ibiza! Bon voyage, party hard. 10) I am jealous of you not only because you are good looking, charming, confident, and adorable but also because you are going for a fancy holiday. Bon voyage. 11) The destination of your holiday really doesn't matter. You are such a fun person that you can make any holiday memorable. Have a good trip. Who wants to share in your travels through your eyes. Waiting for you to come back dear. Bon voyage. 13) It is unfair that you get to go halfway around the world while I'm stuck here doing semester coursework. I'm so jealous of you. Do you know how you can make me feel better? Bring back a nice gift for me, please. I will miss you tons, roomie. 14) I see your eyes gleaming, your lips breaking into a smile, and your palms clasping each other in excitement. I know how super-excited you are for your trip. Have a good one. 15) I love the way you spend whatever you earn on traveling. That is a really cool way to live life. Bon voyage. 16) I envy only two things in life. One is your beautiful home and other is the holiday you are taking this year. You're flying off to exotic islands—lucky you. Bon voyage. 18) We get to know the best hole-in-the-wall cafes, pubs, nightclubs, and hotspots in various cities of the world only because of your holidays. So here's a toast to many more holidays and discoveries. Good luck. We can't wait to hear more of your travelogues. 19) You are the type of person who would make even the most tiring of journeys fun and exciting. You really don't need 'bon voyage' wishes, but here they are anyway: Have a safe and enjoyable trip. 20) I cannot imagine not having you around for a month. Who else am I going to hug when I feel down? Take care, have fun, miss me, and come back soon. Muah. 1) You are finally going for a much-needed vacation. Thank God I am not going to be annoyed by you in office for another 10 days. 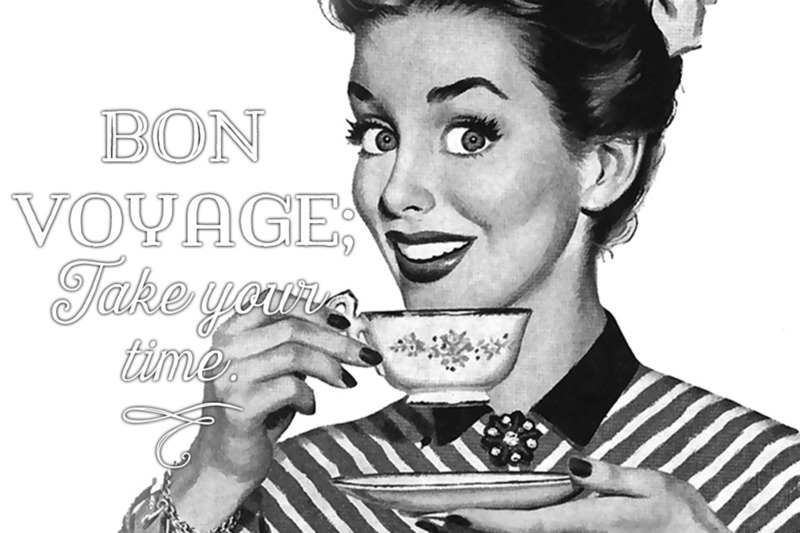 Bon voyage—take your time. 2) As much as I can't stand you in my life, I am going to miss you when you are away for holiday. Bon voyage, sweetie. Come back soon. 3) You should have seen our boss's face when he granted you leave for your holiday. His eyes were screaming, 'I want to go there, too!' Have a good one, mate. You deserve this one. 4) I never thought you could afford a holiday to Europe since you have never even treated me to a single beer. Just kidding—though I would love a beer. Have a good trip. 5) You said you are going to hit the sunny beaches of Spain to relax, for sightseeing, and to spend time with your friends. Do you really think I believe you? We all know you are going to lie down and watch the beautiful Spanish women parade their hot bodies on the beach. Have fun, mate. Bon voyage, and behave yourself. 6) They say that the journey is more important that the destination. But what do you care? You're just hoping to go on one pub crawl after another, right? Have fun, stay safe, party hard. 7) Don't do stupid things on your trip. Remember that everyone has iPhones these days and your antics could be up on YouTube. On second thoughts, I would love to see an embarrassing video of yours going viral. Here's to hoping that it happens. 8) Do you realize that you are about to blow away at least a couple of months of your hard-earned salary for just a few weeks of travelling? You could have made a down payment on a new car instead. Don't mean to ruin your mood though—bon voyage and have fun. 9) Enjoy your trip, buddy. Hope you don't get food poisoning or a random bout of fever. Be safe. 10) Bon voyage. Do you really have to come back? 11) Best friends take their broke friends along on holidays. Good friends bring back gifts for their buddies. Bad friends do none of these. Which one are you going to be, mate? Have a good trip. 12) Don't let your adventure turn into a nightmare. Be safe, carry your medicines, sleep well a day before the flight, carry your money safely, don't forget to take your sleeping bag, be careful that your passport doesn't get stolen, make sure you charge your camera, don't leave your hotel room unlocked. Gee, looks like there is a lot of boring planning ahead of you. Anyway, bon voyage. Hope you manage to have some fun in between all the boring bits. 13) The great Achilles waged wars across oceans, traveled with large armies, protected kingdoms, and no one wished him bon voyage. Why should I wish you one? You are only driving to another state. Nonetheless, have a good road trip. 14) May your trip never end. And may you never come back to eat our ice cream again. Bon voyage. 15) I'm happy today because I won't be putting up with your constant nagging for the next three weeks. Bon voyage; feel free to extend your holiday by a few more weeks. 16) The best gifts that you can get back for loved ones from a trip are memories and souvenirs. I don't mind if you forget sharing your memories, but don't forget the souvenirs. Bon voyage, wishing you happy travels. 17) As you pack your bags, I wish you a happy journey and hope that you don't get mugged, sick, lost, or caught on the wrong side of the law. Gee, guess you have a lot to watch out for. Enjoy your holidays. 18) Wherever your travels take you, no matter how far you are from us, don't forget to bring back cool gifts. We await you return. 19) Finally, I get the house to myself. None of your nagging and nitpicking for a few weeks. Bon voyage, roomie. 20) I heard you were going for a month-long holiday. We won't miss you unless, of course, you promise to get us gifts. Have fun. 1) We are happy because you are going overseas to pursue your dreams, but we are sad because you are the shining star of the office and will be missed. Bon voyage; I hope this farewell message brings you good luck and success everywhere and anywhere you go. 2) Only a person like you can have the guts to move countries for new and exciting jobs. You are, were, and always will be an achiever. Bon voyage, dear friend. 4) The only thing that I will really miss about you is your chitter chatter and useless banter that kept me occupied and amused all day at work. I wish you a safe and happy journey and hope that all the new people you meet like you as much as I did. Bon voyage. 5) I hate to see you go, but I love to see you progress. Love triumphs over hate, so here are my best wishes for your move. I will miss you much more than you can ever imagine. Keep in touch. 6) The best thing about moving to a different country is that you grow fonder of the places and people you leave behind. Bon voyage, dear brother. I wish you good luck for your new life. 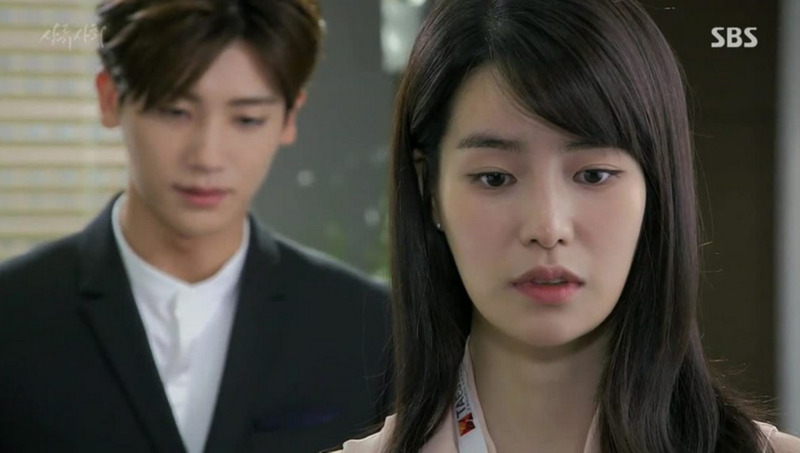 7) No matter how many miles come between us, distance will never creep into our relationship. Farewell and bon voyage, and, most importantly, know that I love you. 8) I still can't believe you are going. How in the world am I supposed to survive without our midnight chats and fun dates? Muah, miss me. 9) When you look at the sea from your plane, think about all the happy and sad memories we have shared together while growing up as siblings. I wish that you have an awesome time settling down overseas. Cheers to the new phase in your life. 10) Do you have the slightest idea how handicapped I feel when you are not around? I wish that you didn't have to go. I can only hope that you will come back soon. Be safe and keep in touch. With whom I've shared all my highs and lows. Enjoying the bliss and overcoming the strife. I wish you a safe journey and bon voyage. 12) Here's a toast to a new beginning in your life. Be well, live free, and enjoy life to the fullest. Hope you get whatever you are looking for in life. Bon voyage to a terrific friend, who will be missed dearly. Good luck, mate. 13) I am going to miss everything about you—your cozy house, the pool in your backyard, and your mum's apple pie. Please don't move. I will miss you. 14) It is tough to leave home, travel to a new place, and make it your new home. But whenever you come back to this city you know that you have another home to stop by. Bon voyage, mate. 16) Don't wait for me to say goodbye. Otherwise you will see my teary, soppy face, and you will have to cancel your plans. So run before it is too late. Have a good flight. Wish you all the very best in your move. 17) You are about to start a journey to a new destination and to live a new life, make new friends, see new sights, have new experiences, and achieve new heights. Good luck, buddy. 18) Every single day, we will pray for your good health and happiness. We love you, son. 19) No matter how far you go, you will always have New York running through your veins. All the best, brother; make us proud. 20) Your new home, your new job, and your new friends—everything awaits you. Go for it, and give it your best shot. Only a lucky few get to live their dreams. Bon voyage, dear friend. 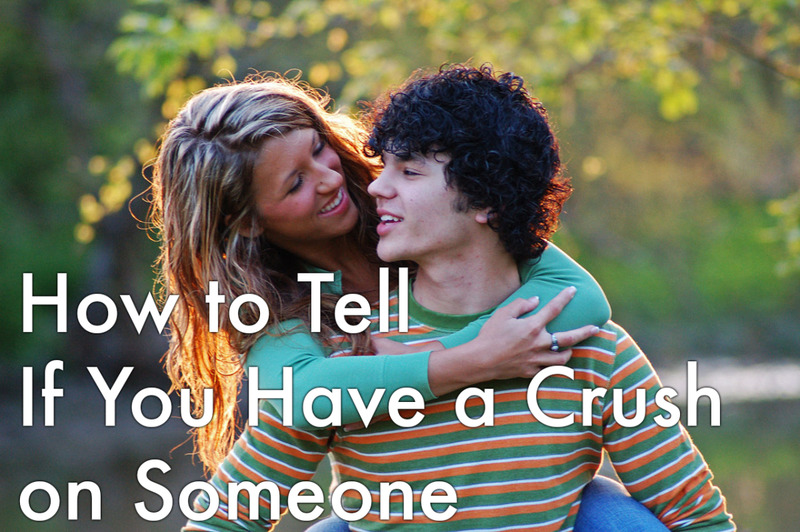 1) You better seal the deal this time around. Knock their socks off, buddy. Bon voyage and good luck. 2) I am so jealous that your business meeting is in Hawaii. Have fun, honey, but be a good husband and focus on your work. Don't stare at the beautiful women on the sunny beaches. Bon voyage. 3) Everyone is banking on you to clinch the overseas deal. You have got to nail it this time. It is do or die, mate. Have a safe flight, an awesome presentation, and bon voyage. 4) It is a pity that you're going to such a beautiful place only to attend meetings. But while you are at it, make sure you have some fun too. Have a good trip. 5) We are so sure that you are going to bag the contract on this trip. Victory and success are written all over your power suit! Bon voyage. 6) You are in for a big party when you get back from your tour. That's because we know you are going to bring back gifts for everyone in the office. Wish you a happy tour. So come back triumphant, successful, and charged. For this mammoth trip, we wish you bon voyage. 8) Every time I wish you bon voyage for a business trip, I think, 'I can't wait to use all your flight mileage points for my own holiday!' Have a nice flight, honey. 9) You got a promotion and an overseas business trip. How much more luck could you possibly need? Nevertheless, good luck for your journey. You deserve it. 10) The company takes pride in having employees like you represent the brand overseas. All the best, and make the most of this trip. Bon voyage. 11) Bon voyage for this important business trip, mate. While you're bagging all the deals, don't forget to bring back some great wines and beers to stock up the office fridge. 12) You are one of the few employees being sent for all the business trips because you are our star performer, a reliable player and the face of our company. Have a good professional tour. 13) Getting jetlagged, working with people from different cultures, living out of suitcases, eating hotel food everyday—you are going to be well rewarded for working so hard and traveling the globe. Keep up your A-game mate. Bon voyage. 14) Can't believe that the company is paying for you to go and have a meeting or two on the sunny beaches of California. You lucky dog, make the most of it. 15) Pack your best suit, carry your sharpest attitude, and show them what we are really made of. All the best for your presentation and overseas trip. Are We Letting Him Dim Our Happiness? I never really thought about what to say in most of these situations so I usually wing-it and give a generic "Have a great trip..." but you said it very well. Now I have a goto list to make a more memorable farewell statement. 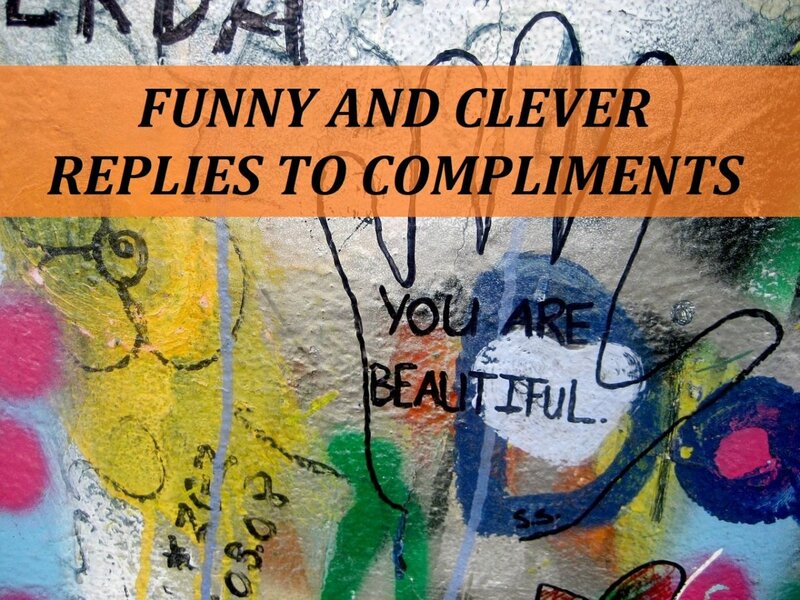 Very useful and very humorous. Thanks for writing!